Model TLP Series Infrared Heaters: Modine's Model TLP Series sets the industry standard for low intensity infrared heating performance and installation versatility. The comfort and uniform heating provided by the TLP series are second to none. Offering the latest in technology, these straight or U shaped tubes transfer radiant heat which is absorbed by any solid object. This results in a comfortable heating environment at the floor level without the expense of heating the surrounding air thereby conserving energy and reducing fuel bills. 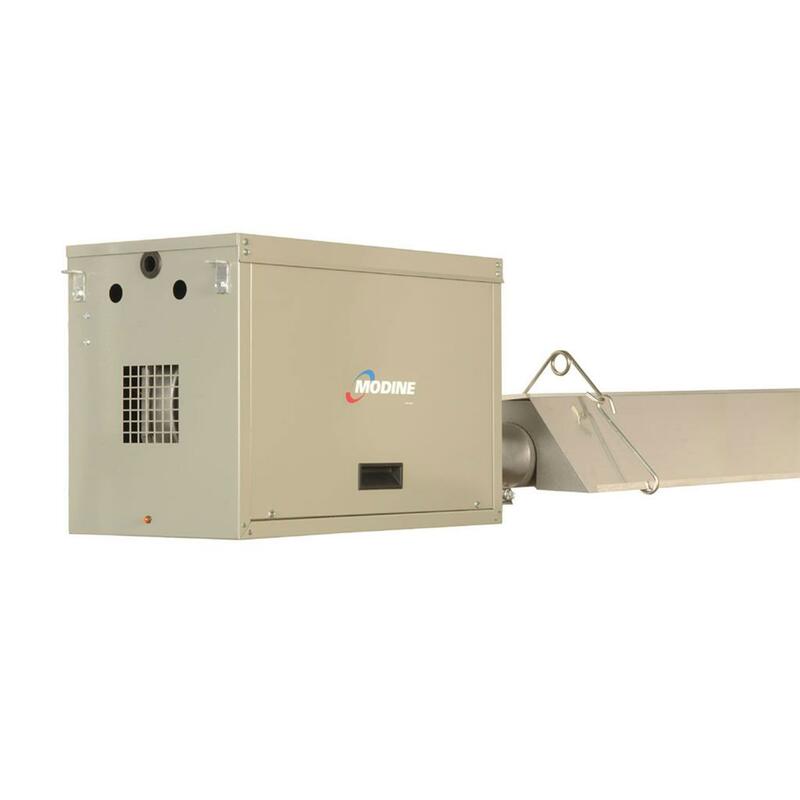 Infrared heating systems rely upon the transfer of radiant energy from hot heat exchanger surfaces through the air to cooler surfaces, without the use of an air mover. Since radiant energy always travels in a straight line from its source, people and objects within a direct line-of-sight of the heat exchanger become warmed immediately. CSA Certification for indoor or outdoor use in the US and Canada. Pressure-type tubular infrared heating system with weatherproof water resistant casing. Four-trial, hot surface ignition with separate flame sensor and sealed burner compartment. 50' to 70' tube lengths in straight or U-shaped configuration. Flame observation window on underside of combustion chamber. Convenient access to all controls from both sides of the burner box casing. Heat-treated aluminized steel tubes with polished aluminum reflectors. Burner inputs of 150,000 Btuh. Available in Natural or Propane Gas. System approved for vented, common vented and unvented installation.